Using guitars, bass, synthesizer, violin, reeds and drums, this five-piece creates an extremely potent jazz rock with roots in the NY downtown free-jazz sound, the Canterbury scene, and perhaps the french Zeuhl sound as delivered by the likes of Zao and Serge Bringolf. Yet this still doesn't account for Chainsaw Jazz' urgency and gripping rock delivery — one that is equalled only by some rock bands of the punk / garage persuasion. Yet these guys are fine craftsmen, well rehearsed and precise in their overall execution. 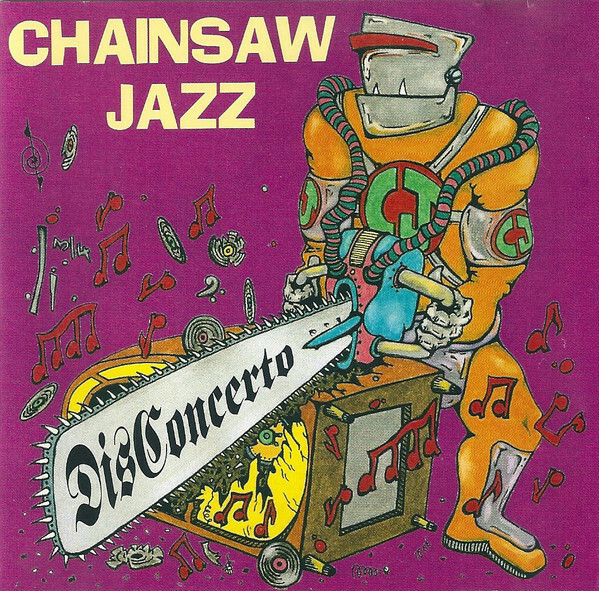 For comparisons, one that comes to mind right off-hand is the Japanese band Il Berlione, or perhaps Chainsaw Jazz could be considered something of a well-mannered Doctor Nerve. Either way, their Cuneiform debut DisConcerto rings with brilliance and energy, full of musical humor, sharp wit, and a forceful melodic persona. These guys are definitely going somewhere, and if you have to choose one among the many Cuneiform releases to start with, this may well be the one. For the historians, drummer Paul Sears is an ex-member of the legendary Muffins.